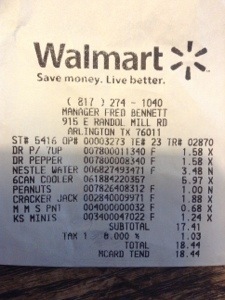 He was able to go to Walmart and get drinks, snacks, and a small cooler for a fraction of the ballpark price. 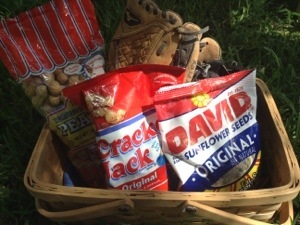 Cracker Jacks weren’t available at the ballpark — but they should! They’re in the song and everything! $2.00 for a bag of ice, $5.97 for a cooler, and it was still less than a couple of beers – plus, he had a way to keep his chocolate from melting.